A WordPress theme is a collection of files that controls the styling of a website or blog. If you change themes, the overall design your site will display differently in a browser. Every new WordPress installation comes with a default theme installed and activated. WordPress “ships” a new annual default theme every year, the current default theme is Twenty Sixteen. In the left-hand menu click on Appearance → Themes. This takes you to the Manage Themes screen where you can see all installed themes. Sounds simple, doesn’t it? But … which theme should you choose? 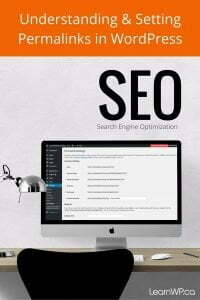 We know that choosing a theme for your WordPress website or blog can be overwhelming. Here are 5 tips to help you. All themes included in the directory have been reviewed by the theme review team. You can narrow down the list with the Feature Filter. We suggest that you start the selection process by narrowing the filter to accessibility-ready themes. Themes in the WordPress Repository tagged “Accessibility-ready” have been reviewed and meet accessibility standards. The theme is “ready” for you to add accessible content. 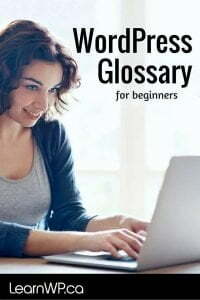 You may be required under AODA legislation (Accessibility for Ontarians with Disabilities Act) to have an accessible site, but even if you aren’t, it’s just the right way to build a site today [read more about AODA and WordPress accessibility here]. When choosing a theme you’ll want to make sure that you aren’t creating problems for the future. We have previously discussed the theme-lock effect and what happens when you decide (and that time will come) to change your WordPress theme. So with good reason, we recommend using a plugin to create a custom post type such as portfolio or testimonials instead of looking for a theme that comes with these built-in. Plugins continue to work when you change themes. A lot of premium themes rely on the Visual Composer or other builder plugins that allow users to layout their site without having to touch code. The problem with this approach is that when you change your theme or turn off the visual composer plugin, you will have to deal with a mess of shortcodes—like this! If Visual Composer is packed with your theme you may miss out on VC updates. We are big believers in sticking with the WordPress native way of doing things. Many times students have come to us for WordPress training after a frustrating attempt to build their own WordPress site with the Visual Composer. WordPress is constantly changing and improving. If you stay with the native WordPress way, your website will be ready for whatever goodies WordPress has in store for us down the road. A premium theme is a theme that you purchase. Keep in mind that the WordPress alert system does not include premium themes. If you do go the route of using a premium theme make sure that you can keep the theme up-to-date. If someone else purchased this for you, you will need to contact them every time you want to download the updated theme files. If you purchased it yourself, make sure you keep track of your account login where the theme was purchased and that you have a purchase code. If you don’t receive email notifications, you will need to check periodically for theme updates – put a note in your calendar to check once a quarter. Updating a premium theme is usually done manually by FTP. You will need to either do this yourself or hire a developer for assistance. Premium themes are often challenging to setup. Before purchasing a theme, make sure that there is clear documentation. Keep in mind that purchasing the theme may not be your only expense, you may in the end, need to hire someone to help you. Students often choose a WordPress theme because it looks beautiful with attractive professional photos in the theme demo but, when they replace the photos, they are disappointed with the results. Their own images don’t work with the design, dimensions, or quality of the original theme. Try to visualize what the theme will look like with your own content. Premium themes are often trying to be all things to all people. If the theme has a lot of features you don’t need make sure that you can turn off those features. 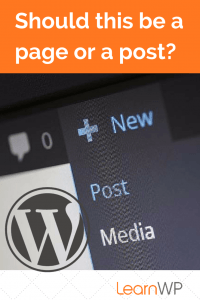 Too many options in the WordPress dashboard can be confusing and can create extra bloat that will slow down your website. 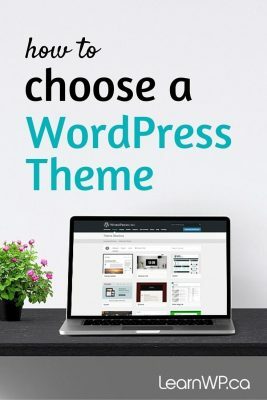 We hope that this post has helped make choosing a theme for your WordPress blog or website easier. I’ve gone through several themes for my website. I started with the fancy ones and now I go with a simpler is better approach. Minimal customization is best for me so I can focus on content instead of eye appeal. My current theme is the defualt responsive theme for wordpress and it works great! Unless you’re a professional web designer I say keep it simple. Thanks for commenting John – nice to know you’re still following our blog! Excellent workshop facilitated by two knowledgeable, friendly and patient instructors. Ruth and Dawn are expert problem solvers who give personalized attention to meet your specific needs. If you are looking for a workshop to build or re-do your website, this workshop intensive will give you the skills you need to succeed. 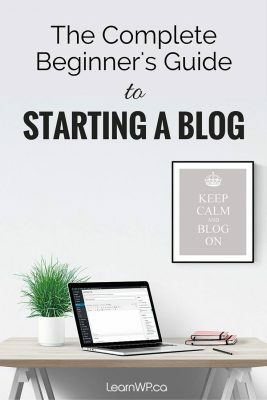 Ruth’s customized theme and Dawn’s SEO advice made it possible for me to create my site as well as have the confidence to make changes and keep it up-to-date.